Wind turbines is one of the options both homeowners and business owners have as a wind renewable energy alternative. A wind turbine for your home is basically a propeller connected through a series of gears to a generator. When the wind blows and turns the propeller, the generator begins producing electricity for your home or business. If proper site conditions exist, a wind turbine—or wind generator—is a viable renewable energy source that can be used either grid-tied (connected to the utility) or as a stand-alone (battery-based) system. Wind turbine energy production or wind renewable energy yields are very site-dependent. Having an abundant wind source at a prime location can yield large amounts of energy year after year. Conversely, if there is little or no wind near your home or business, renewable wind energy is probably not for you. Contact us and we will help you determine if a wind turbine for your home or business is your best option as a wind renewable energy source. We recommend that you locate a copy of a recent electricity bill prior to contacting one of our energy professionals. You will want to refer to it as we ask you a few simple questions regarding the location of your home or business. While we are on the phone, we will be able to offer you a preliminary opinion regarding the viability of a Wind Turbine system at your location. Some of the important factors we use in our initial evaluation of your location are based on 20 years of recorded weather data, your elevation above sea level, a satellite view, tree height as well as your geographic location. In most cases we recommend doing a wind study that collects site information through an anemometer for a period of one year. Contact us today to see if a wind system is right for you. Verification of data obtained through initial interview. Evaluation of local weather data history and trends. Preliminary evaluation of zoning requirements or restrictions. 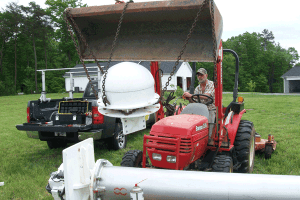 Placement of an anemometer to verify site specific wind conditions. Your current electricity usage and how much you can save with your new home wind turbine system. Total incentives paid by third parties. Your return on investment vs traditional investment products. Historical and future electricity rate expectations. If your site has an adequate wind resource, the next logical step is to work together to provide answers to the following questions: How big a system do I need? What are the associated costs? Are there rebates/tax credits? What kind of tower should I use? What is my payback period? You may have other questions as well. We’re here to help you make the right decision for your family or business. Your home wind turbine system and the tower upon which your wind turbine will sit will be custom matched in order to provide maximum efficiency. Sun-Wind Solutions will design and install each component, from the footings up through the base of the home wind turbine. The wind turbines themselves are generally pre-engineered by the manufacturer. Electrical plans will be developed based on wind turbine system size, inverter specs, and conditions at your site. Federal tax credit of 30% for installation and equipment. Connecticut currently does not have a rebate program for wind energy. 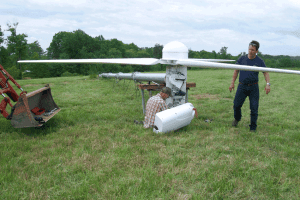 Home wind turbine system generators as a rule require little to no maintenance as most systems are sealed units. An occasional coat of paint is all that’s required every 5-7 years depending on your location. Monitoring the wind turbine for your home can be done through web-based applications or direct inverter monitoring. A: Home wind turbine system generators are about as loud as a washing machine on wash cycle. A: Your wind renewable energy system should last 20-25 years. Q: Will it need batteries? A: Grid tying is recommended where grid power is available. Batteries, as a rule, are costly and need be replaced every 7 to 9 years. If there is no grid power, then batteries will be needed. Q: Will it work in a black out? A: Similar to Solar PV systems inverters have a safety device that must shut down during power outages to prevent back feeding of power onto the grid (anti-islanding). Q: What will my pay back period be? A: It depends on site conditions, rebates, incentives and system efficiency, but an average system typically pays for itself in 5 to 7 years. Q: Is the power company required to buy power back from my installation of wind turbines? A: Yes this is federal law, in effect since 1978.